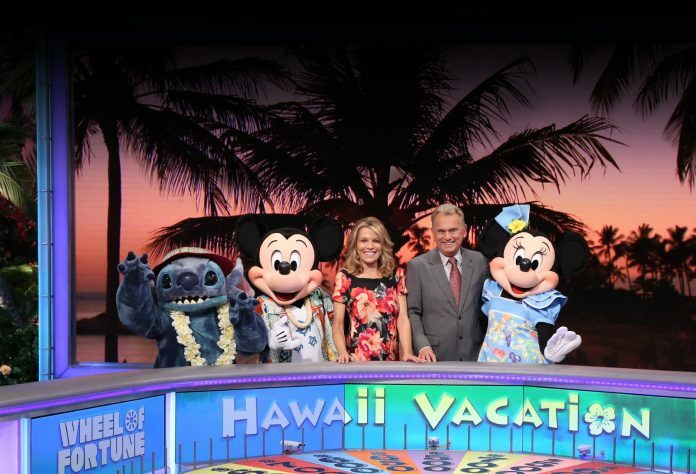 Wheel of Fortune Hawaii Vacation Giveaway: Enter this new Wheel of Fortune Sweepstakes for your chance to win an amazing dream vacation to AULANI, A Disney Resort & Spa in Ko Olina, Hawai’i. Watch Wheel 4/22 – 4/26 and write down the Bonus Round Puzzle Solution. Enter the puzzle solution after each show airs. For more chances to win, come back each night of the giveaway between 3:00 p.m. PT and 2:59 p.m. PT the next day. Looking for today’s puzzle solution? In order to help you win this Sweepstakes, we will update this list every weekday. Come back daily through February 8 to keep up-to-date. The Wheel of Fortune Hawaii Vacation Giveaway is open only to permanent legal residents of the fifty (50) states of the U.S., or D.C. (excluding Guam, Puerto Rico and all other U.S. and foreign territories and possessions), who are currently physically located and residing therein, and who are eighteen (18) years of age or older as of April 22, 2019. This Sweepstakes begins at 3:00:00 p.m. PT on April 22, 2019 and ends at 2:59:59 p.m. PT on April 27, 2019. Limit one (1) Entry and one (1) Bonus Entry per person/email address per daily sweepstakes. Five (5) Daily Sweepstakes Prizes (one (1) daily sweepstakes prize for each of the five (5) daily sweepstakes). The daily sweepstakes prize is a trip for a daily sweepstakes prize winner and up to three (3) guests to the island of Oahu. For a copy of the Winners List, send a self-addressed, stamped envelope (with proper postage affixed) to: Wheel of Fortune Hawaii Vacation Giveaway II “Rules” / “Winners List” (specify which), P.O. Box 6375, Burbank, CA 91510. Have been watching wheel of fortune since 1983 which is 36 years. Some day I would like to be on the show. Thank you so much ?